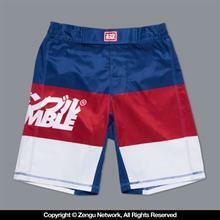 This rashguard is a collaboration between 100Athletic, a leading Japanese sportswear brand, and Scramble. 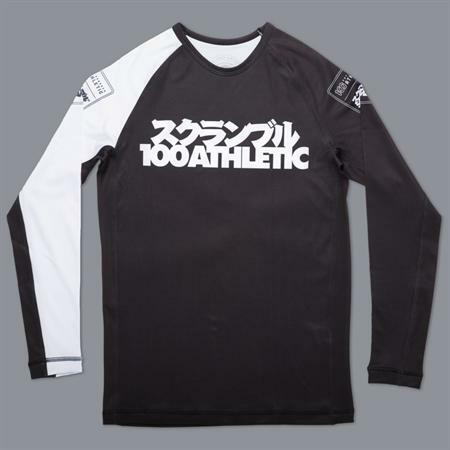 100Athletic is pioneered by MMA and grappling legend Caol Uno, and is famous for its monochrome aesthetic and clever take on traditional sportswear. The 100Athletic x Scramble rashguard features a hybrid logo in the Scramble style.